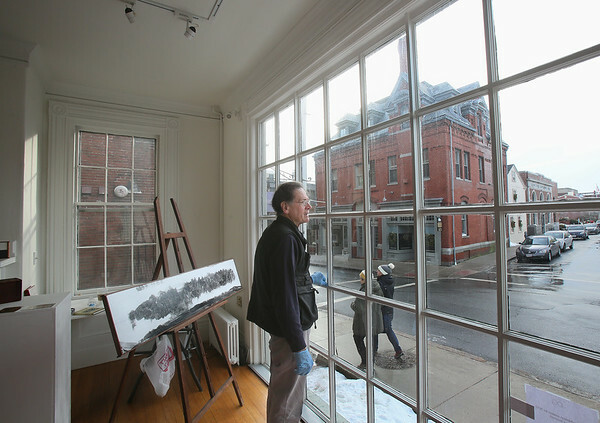 Artist George Wingate of Wenham looks out Thursday onto the corner of Pleasant and Middle streets from the front window of his temporary space at the Jane Deering Gallery in Gloucester. Wingate, whose work has been featured in solo exhibits in New York, San Francisco, Italy and elsewhere, says he's viewing his month at the Deering gallery as a kind of fellowship. "I want to be receptive," he said, "and let what happens happen."